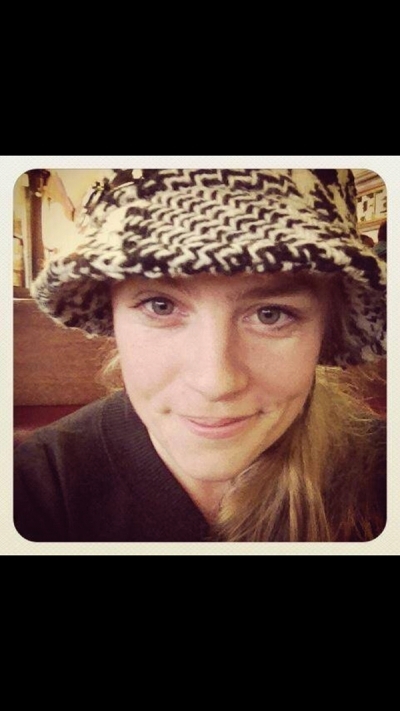 The U-32 community has been deeply saddened by the loss of beloved teacher and colleague, Laure Angel. Laure passed away following a snowmobile accident on February 5th. Laure was a native of France, due to be sworn in as a US citizen on March 20th. She came to the US as a teenager, and graduated from the University of New Hampshire. This was her sixth year at U-32. Laure’s dedication to teaching, unstoppable curiosity and energy, insight, and love made her an incredible teacher, TA (teacher advisor), teaching partner, department head and union official. Laure was engaged to be married to Kevin Wood, of Williston, with a mountaintop wedding planned for August. Her faith and trust in her students extended to her wedding planning–she was delighted to be planning a wedding that was “student-run.” She asked U-32 students to build centerpieces, take photos, play music, and design and make her wedding dress. Stage 32 took a 4 day and 3 night trip to NYC to do workshops with the Broadway Teaching Group. The crew learned from Broadway actors and creative directors, saw Hamilton (!!) and also met members of the original cast and crew. It was an awesome trip. We lost a very special man last month with the passing of Bill Haines. Bill was a powerful force for good who touched hundreds of people in our community. Longtime teacher and community activist Bill Haines passed away in January. Bill was a true activist, constantly organizing student involvement in the community, state and nation. Bill taught at Montpelier High School for 32 years! Among other things, he worked on and created a handbook on student rights, a card catalogue of community resources, environmental initiatives, and various camping and canoeing activities. In retirement Bill continued to inspire students through debate club, Project Citizen, We the People, student river cleanups … If there was a worthwhile community project, you can be sure Bill worked on it. His leadership was grounded in his deep concern for his country, state, community and most of all, his students. Bill served on the Worcester select board for 12 years, was town moderator, served on the Doty school board, and served on the boards of several non-profits including Washington Central Friends of Education and Friends of the Winooski River. He also served on the Community Connections Steering Committee. Robo Raiders Team 4946 waits in the bleachers for the Opening Ceremony to kick off the FTC Robotics Tournament. Pictured, left to right: Katerina Wood, Sophia Heinz, Frances Kaplan, Alexandra Reilly, Stephen Looke, Kieran Edraney, and Eric Jacobsen (Team Captain). 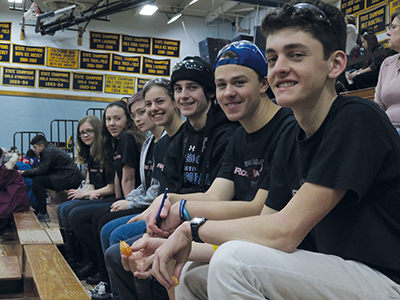 On Saturday, February 11, after working independently together since September toward building and programming a working robot, the U-32 Robotics Team, Robo Raiders #4946, competed in the all-day Vermont Regional FTC (FIRST Tech Challenge) robotics competition, organized by UVM and held this year up at Essex High School. Paired up in alliance with a different team each bout, the Robo Raiders competed in five matches opposite two other alliance teams. They demonstrated cooperation, innovation, problem-solving, a sense of humor, grace under pressure, and “gracious professionalism,” a key tenet of the FIRST Robotics program. Special guest Governor Phil Scott spoke during the Opening Ceremony. In his remarks he mentioned that he once student-taught at U-32, and afterward he made his way over to “the pit” to meet the U-32 team and check out their robot. The Robo Raiders placed 13th out of 32 teams participating from across New England. Four years ago, Henry’s dad, Shawn Kasulka, started a FIRST LEGO League team. Henry Kasulka, Logan Wood and I (Jack Thompson) all joined. Ruby Singer and Jacob McCoy also joined, along with some other kids. For each year of FLL, you must come up with an innovative solution to a real-world problem. In our third year, we designed an app to try and reduce trash by telling people where to take recyclable items that they can’t just put in the recycling bin. However, we didn’t have the resources to actually make the app we designed. Then, this year, we learned about the Verizon challenge, and how it would give us the chance to make it all real. 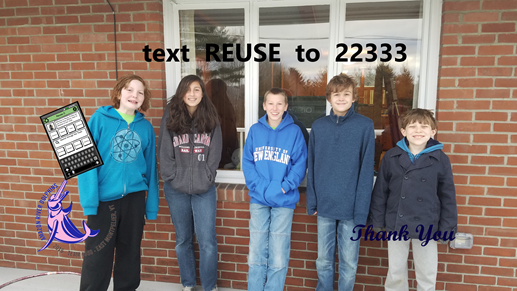 East Montpelier students Henry Kasulka (Grade 6), Ruby Singer (Grade 8), Jacob McCoy (Grade 8), Logan Wood, (Grade 6), and Jack Thompson (Grade 6), who were recently recognized for their innovation and creativity! We participated in a challenge, sponsored by Verizon. 1,800 groups in Vermont, including ours, would design an app and make a short video that would be inspected by Verizon. Whoever made the best video and app design would move on the next challenge: the regional challenge. All of the winning apps in the region (ours being New England) would be compared, and the best would be selected to move on to the national challenge, and then the winner of that would be given the resources to make the app. Unfortunately we did not make it past the regional competition. But there is still another chance! One additional app idea will also be a winner. People can vote for the app design they like best, and the one with the most votes will be the fan favorite winner. But you’re probably wondering about the details of our app. On a Tuesday afternoon in mid-January I visited East Montpelier Elementary School’s Kindergarten/First Grade teacher Jillian Zeilenga and her class for an “Educating Children Outdoors” [ECO] afternoon. Our learning theme was “Force of Motion,” a welcome antidote to the raw cold of that afternoon. 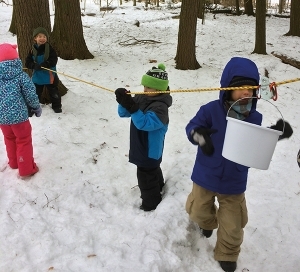 East Montpelier Elementary kindergartners experiment with ropes and pulleys during their Educating Children Outdoors (ECO) class. Mrs. Zeilenga’s and Mrs. Gariboldi’s students got all bundled up, prepared for outdoor learning, having participated in ECO one to two afternoons a week since September. EMES is blessed with beautiful woods behind the school which have long lent themselves to outdoor play and education. Introduced by Mrs. Zeilenga five years ago after seeing it piloted at Union Elementary School, ECO is based on site at EMES and co-taught by K-2 EMES teachers and ECO staff from the North Branch Nature Center. 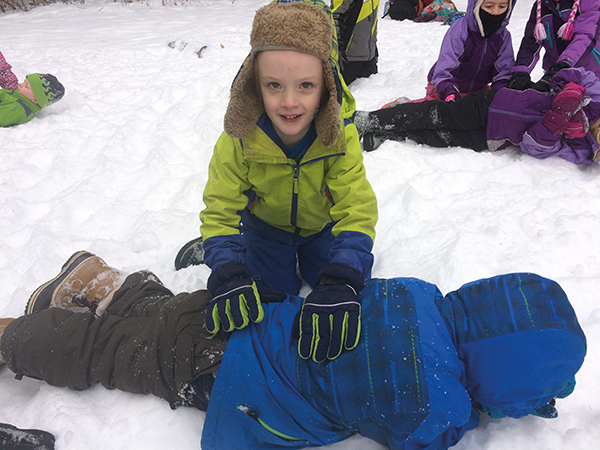 ECO is the latest in a long tradition of environmental education programs offered at EMES. Four Winds, previously called Environmental Learning for the Future (ELF), was taught for many years at EMES and is currently offered at Calais, Doty, and Rumney Elementary Schools. VINS’ Environmental Citizenship Program and Angela Gibbons of Earth Walk are also part of this rich tradition. Town Meeting Day is right around the corner, so it’s time for an update on school funding and what we need to pay attention to in 2017. The statewide property tax: Under Act 68, the statewide property tax is $1.10 for residential property – your home – and $1.59 for non-residential property (businesses and second homes.) This rate is on each $100 of the property’s fair market value. When applied to all property statewide, this should raise enough to provide a basic education payment of $9,588 (the amount the state calculated is needed) for every equalized student* in the state. The statutory tax is rarely implemented. When there is a surplus in the education fund, the state may drop the statewide tax rate. For 2018, the Tax Commissioner has recommended the statewide property tax rate remain $1.00 residential and $1.55 non-residential.